In the logistics sector, warehouse workers at Argos are currently striking to try and win an agreement on redundancy and severance packages. The affected sites are in Basildon in Essex, Bridgwater in Somerset, Castleford (West Yorkshire), Heywood (Greater Manchester) and Barton Business Park, Burton-on-Trent, and they’re out until the morning of Tuesday 5th September. Another ongoing industrial dispute is the St Barts hospital staff one, which looks set to run throughout September. The grassroots UVW union is currently gearing up to take on the case of Daniel, a cleaner at the LSE who was subjected to homophobic bullying, and there’s an open meeting on August 30th for people to find out how to get involved in that campaign. In other UVW news, they’re also organising among cleaners at the luxury car showroom HR Owen in South Kensington, and a strike seems likely there if the company refuses to pay its cleaners the London Living Wage of £9.75 an hour. On the last day of August, the PCS are calling for protests against the public sector pay cap, which will be liveblogged here. The living wage dispute at Picturehouse Cinemas is currently going through a re-ballot, which will run up to August 29th. Community action in support of the strikers continues, with one day of action having just taken place on the 26th, and another planned for September 2nd. Also of interest is the news that workers at Cineworld, Picturehouse’s parent company, are now balloting for strike action over job losses in Ireland. In early September, the food workers’ union BFAWU will be holding a protest outside McDonald’s East Finchley headquarters on September 2nd, ahead of the strike at two locations in Cambridge and South-East London on September 4th. The 4th should also see solidarity events in London, Manchester, Birmingham, Milton Keynes, Sheffield and Cardiff aiming to raise the profile of the strike and help build confidence and organisation among other McDonald’s workers – more may be announced soon. 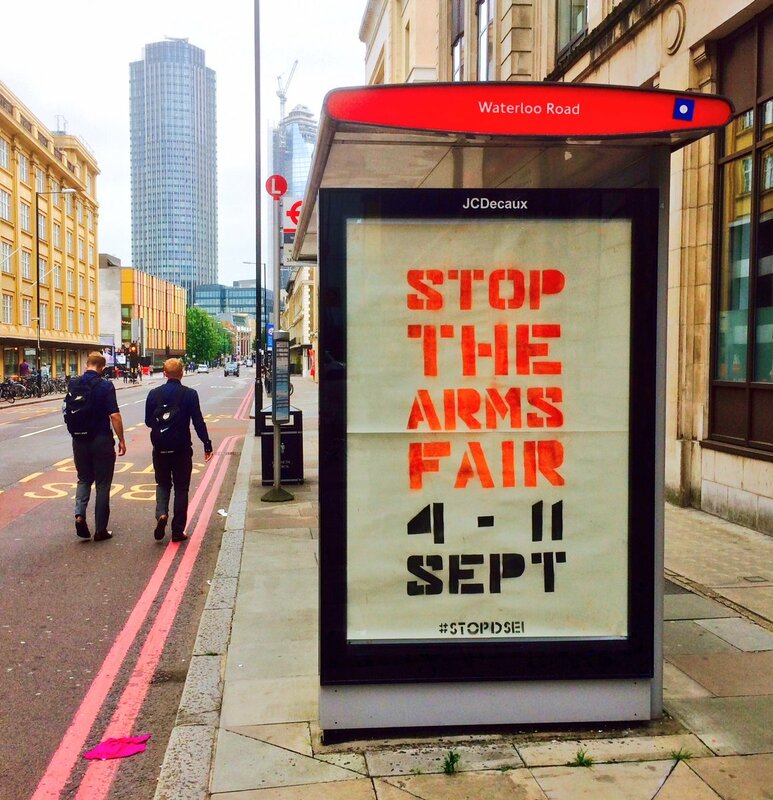 Early September will also see the notorious DSEi arms fair return to London, and there’s a week of action against it running from 4-11 September, with Saturday 9th planned as the big focal point. Also on the arms trade, two people who attempted to dismantle weaponry that BAE Systems were selling to Saudi Arabia are currently awaiting trial for criminal damage, you can donate to their legal funds here. On September 7th, there’s the fundraising dinner in Leytonstone for the St Barts’ hospital strikers, which looks very worthwhile if you can get along to it. The tireless Angry Workers of the World collective are staying busy – on September 15th they’ll be hosting a discussion with New River Workers’ Power, a Virginia-based collective who’ve been involved in the wildcat strike at a Target store there. On the 17th, they’re co-hosting a meeting with the London wobblies aiming to get people involved in a new organising drive at West London warehouses. The same meeting should also be run at the London anarchist bookfair at the end of October. 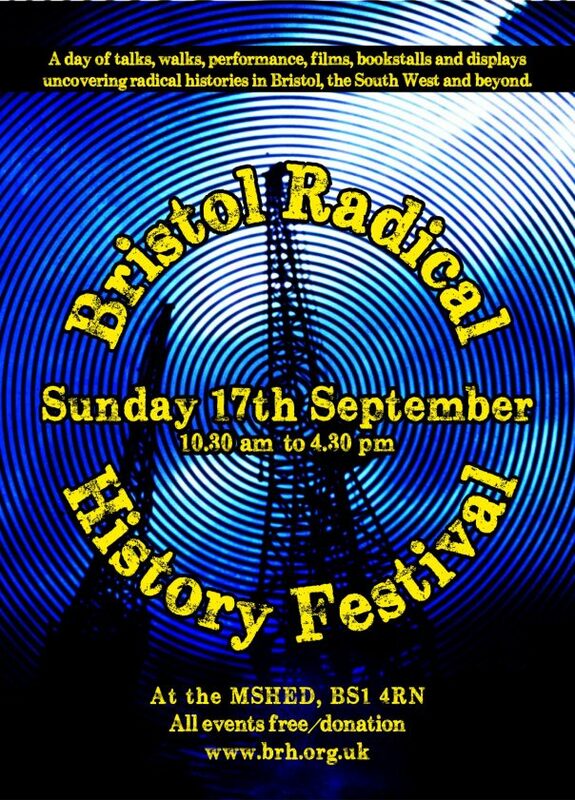 Over in Bristol, they’re holding their anarchist bookfair on Saturday 16th, followed by a Radical History Festival on Sunday 17th. At the end of the month, the IWGB union will be holding a big “precarious labour strikes back” march on the 27th, marching on the employment tribunal where Uber are attempting to roll back their drivers’ rights. That day will also see IWGB members at the University of London taking strike action, so the event will finish back at their picket lines. 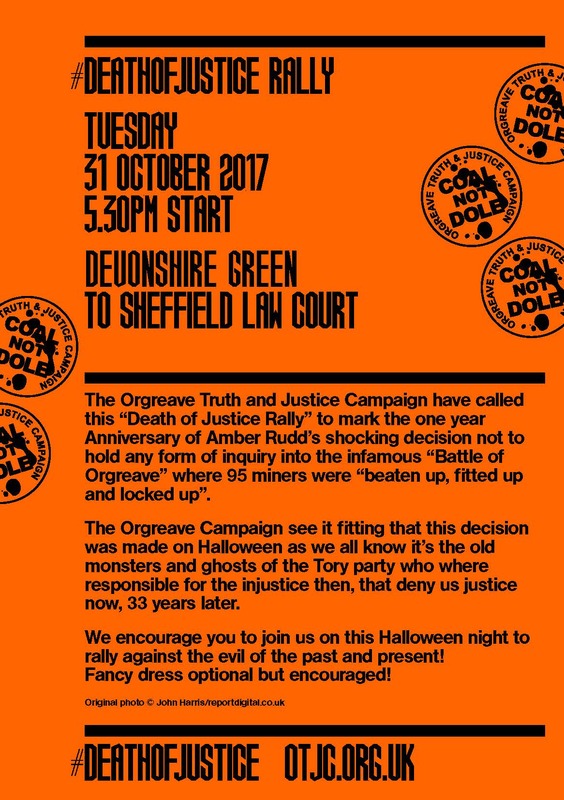 And just as a reminder, it’s a bit further off, but the Orgreave Truth and Justice Campaign will be holding their Halloween event outside Sheffield Crown Court at the end of October. Finally, one more piece of good news to share: Brighton SolFed announce that they’ve just got a letting agency to pay up a total of £1200 to six tenants who were organising against their bad practices. This entry was posted in Anarchists, Housing, Protests, Strikes, Unions, Work and tagged Angry Workers of the World, argos, Barts Health, BFAWU, DSEi, Industrial Workers of the World, IWGB, LSE, McDonald's, Orgreave Truth & Justice Campaign, pcs, Picturehouse Living Wage, Solidarity Federation, Uber, unite, United Voices of the World, University of London. Bookmark the permalink.